Jerry Leake is an Associate Professor of Percussion at Berklee College of Music and the New England Conservatory of Music (Boston, 1991-present). He is leader of the world-rock-fusion octet "Cubist" that has released an acclaimed studio and live CD featuring the top names in contemporary music: Randy Roos, Steve Hunt, and Stan Strickland. He is also co-founder of the world- music ensemble Natraj, whose four recordings feature his diverse percussion talents. He is a founding member of the dub/trance groove collective Club d'Elf and performs regularly with R.A.R.E, C-Jammers, Another Realm, Moksha, BodyGrooves, Aardvark Jazz Orchestra, and the Agbekor Drum and Dance Society. He is featured on dozens of CDs and has released seven CDs of his own music on Rhombus Publishing. On tabla, he has accompanied Ali Akbar Khan, Steve Gorn, Sharafat Ali Khan, Nandkishor Muley, Kumkum Sanyal, Chitravena Ravikiran, George Ruckert, Peter Row, Purnima Sen, Shyamdas, and kathak dancer Gretchen Hayden. He has toured with Persian masters, Shahram and Hafez Nazeri with features on CNN Live; ongoing performances and tours with flamenco virtuoso, Juanito Pascual; with his band Natraj: JazzYatra, Bombay, India; Royal Ontario Museum, Toronto; Lake George Jazz Weekend, NY; PANAFEST, Accra and Cape Coast, Ghana; Oberlin College, OH; Prayojana Festival, Bangalore and Chennai, India; India-50 Celebration, Hatch Shell, MA; Guelph Jazz Festival, ON; New Year's Portland ME; Festival of Black Music, MA; Saranac Lake Concerts, NY; U. of Texas, TX; Portsmouth Jazz Weekend, NH; Tsai Performance Center, MA; CB's 313 Gallery, NY; Asian American Creative Music Festival, MA; CAV, RI; Institute of Technology, MA; Musikfest, PA; First Night, MA; Boston Globe Jazz Festival, MA; Community Arts Series, MA; Academy of Indian Performing Arts; MA; Anthony's Southside, PA; Norwood Village Green Concerts, NY; Cambridge River Festival, MA; L/A Arts, ME; First Night Hartford, CT; Regattabar Jazz Festival, MA; Waterfront Park Concert Series, MA; Columbia University, NY; Moses Greeley Parker Concert Series, MA; Peabody Essex Museum, MA; Bowdoin College, ME; Berklee Performance Center, MA; MIT Kresge Auditorium w/Hands On'Semble, MA; Jacob's Pillow, MA; Omega Institute with Shyamdas (kirtan); Jordan Hall, MA; Jothi Raghavan's Karnatak Theater Company, MA; Cultural Constructions, MA; David Maxwell Ensemble; Bob Moses; George Schuller; Les Miserables Brass Band, MA; Natalie Twigg Arts Foundation, MO; solo performance: Live Music Week, Emerson College Radio (WERS), MA; With Club d'Elf: performances with John Medesky, Hassan Hakmoun, Mat Maneri, Brahim Fribgane, Bob Moses, Dave Tronzo, Duke Levine, Randy Roos, Gerry Leonard, Kenwood Denard. Jerry graduated from the Berklee College of Music where he studied jazz vibraphone with Gary Burton and hand percussion with Pablo Landrum. 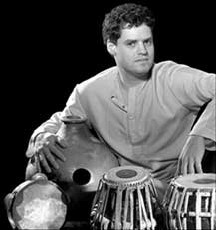 He studied tabla in Pune, India with Rajiv Devasthali, and studies in Boston with Todd Nardin and Koashal Anand. In Chennai, India, Jerry studied Carnatic rhythm theory and mridangam with T. K. Ramakrishnan. He has studied African music for over 20 years with Dolsi-Naa Abubakari Luna of the Dagomba tradition (northern Ghana) and Ewe music (southern Ghana) with Godwin Agbeli and David Locke, and balafon/djembe with the Coulibaly family in Burkina Faso. Jerry has written eight widely used texts on North Indian, West African, Latin American percussion, and rhythm theory; five manuals for playing world rhythms and concepts on drum set; and has had 10 articles published in Percussive Arts Society Magazine "Percussive Notes." Jerry is former president of the Massachusetts Chapter of the Percussive Arts Society and has been a composer and member of the Portland Symphony Kinder Koncert percussion ensemble since 1984.